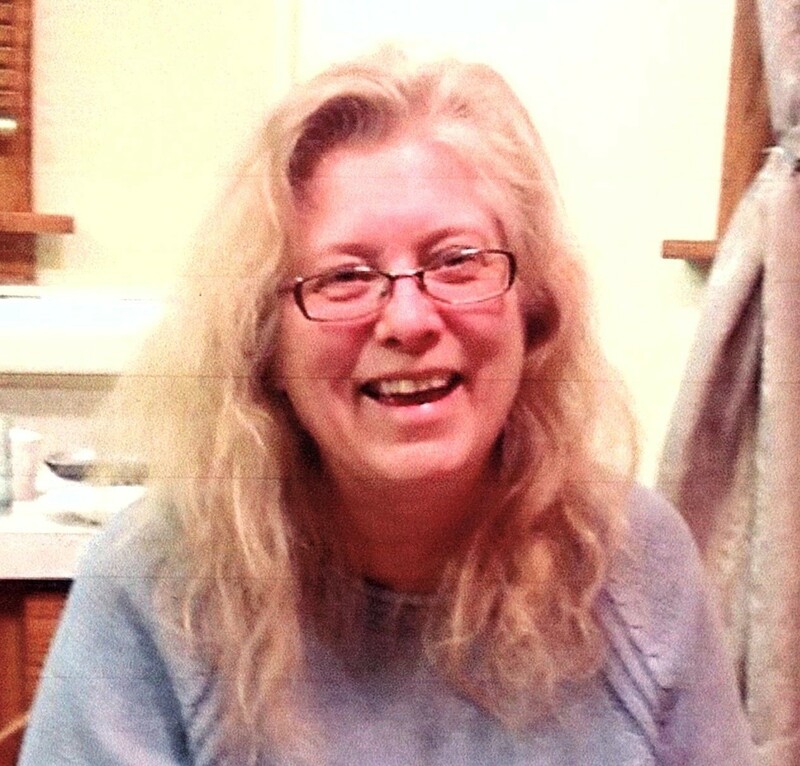 Lynnette A. Johnson, age 58, of Escanaba, passed away peacefully following a valiant battle with cancer on Thursday, March 14, 2019 at her home surrounded by her family. Lynnette was born August 27, 1960, in Luverne, MN, the daughter of Russell Vollmer and Carol (Murchie) Christiansen. She graduated from Lakeview High School in Iowa. She went on to further her education and received her Nursing Degree from Buena Vista College in Storm Lake, Iowa. Lynnette was a Registered Nurse and Licensed Nursing Home Administrator. She dedicated her life and career to doing everything possible to make other peoples’ lives better. She succeeded magnificently caring for others and will be missed. She was a fantastic mentor, medical professional, teacher, wife, mother, grandmother, friend, gardener, interior designer and craftswoman. This world would be a better place it there were more people like her. Lynnette loved life and found so much joy in our world. She leaves a huge void in our lives. Lynnette was an ICU/ER/Oncology nurse at KU Med, OSF, DON at Christian Park Center, Director at North Woods Place at its inception, Regional Director for LMAS Home Health for Delta and Menominee Counties, Owner and President of Caring Hands of Upper Michigan, Clinical Consultant at Golden Living/Beverly, Extendicare, Nursing Home Administrator at Christian Park Village and Menominee Care Center, and lastly Executive Director at North Woods Place. She left her mark anywhere she was employed through her care, compassion, knowledge, expertise and professionalism. In addition to her loving Husband, John Johnson, Lynnette is survived by her mother: Carol Christiansen, Escanaba, MI, children: Nicholas Gasso, Escanaba; Jessica Gasso (Brian Gross), Gladstone; Christopher Gasso, Oak Creek, WI; Julia Gasso, Rapid River; and Jennifer Gasso, Escanaba, brother: James Vollmer, Killdeer, ND, sister: Rachel (Sergio) Baron-Pulecio, Scottsdale, AZ, grandchildren: Domenic, Abbigayl, Gabriel, Brantley, Landon, and Lincoln John, Nieces: Erin Vollmer, Rachel Vollmer, Cassie Vollmer, Nephew: Matthew Vollmer, Best friend and sister, Teddy Boelter, and cousins, aunts and uncles, and friends too numerous to list here. She is preceded in death by her father Russell Vollmer, brother Gary Vollmer, and nephew Chad Vollmer. Family will receive friends on Saturday, March 23, 2019 from 1:00 until 3:00 PM at the Skradski Funeral Home in Escanaba. The Upper Peninsula Nurses Honor Guard will be conducting services at 3:00 PM at the Skradski Funeral Home in Escanaba. Pastor William Rafuse will be officiating following the ceremonial honors. I will never ever get over losing you. You fought so, so hard. I’m sorry you had to leave us, but I know you couldn’t fight this battle anymore. I will love you forever. Thank you for loving me and being my wife. My sweet friend Lynnette, you were so much for so many. There are people out there that will never know it was you who saved their life. You my friend were strong, loving, and so brave. Rest in peace Lynnette. When the world loses a kind, loving ‘people person’ it sure makes you wonder why such good people have to die young. To Lynnette’s husband, and our friend, John, thank you for caring so well for her. We’ve lost a very special person. Although I’ve only met you a few times throughout my life, I still know how incredibly loved you are by many and that love will never fade away. I’ve heard many stories through my mom Tracy Vollmer, my grandma Cora Vollmer, and your brother Jim Vollmer – those memories will forever be cherished and remembered. I’m so sorry you had to fight so hard to try and stay here on this earth, but it brings me peace in knowing you’re not suffering any longer. I know you’re looking down on all of your family and one day they will all get to see you again. To our friend John and Lynette’s family, There are no words that describe our sorrow. John, you and Lynette were one of our FAVORITES at the Log Cabin Supper Club. Spending time and talking well into the evening with you both are some of our best memories. Lynette’s assistance on issues with family when my parents were in Christian Park helped me keep my sanity…….She was the best. Rest in peace my sweet loving friend. Sending our love and sympathies. Lynnette left quite a legacy. She was so kind and a wonderful mother and grandmother. She is with Gary, flying free from pain. I pray for your comfort and peace. I had only known you for a short amount of time, but during that time you were a great boss and a great friend to me. You were always someone I could go and talk to if I needed to vent. You will be missed very much. My sympathies to the family and friends of Lynnette for your pain and loss of such a beautiful soul. I worked with Lynnette years ago, and just wanted to acknowledge her lovely spirit and express condolences. I’m having a hard time accepting the fact you’re gone, so I won’t. But I can understand why God wanted you close to him, because you truly were an angel on earth. I love you, I miss you every second. I hope that wherever you are, you found your peace. If anybody deserved it, it was you. Love always, your baby, your daughter, Jennifer. There is an old saying to the effect that families are made of weddings & wakes. I hope & pray that you comfort each other. I will miss you my friend and cousin. You will live on through John and your children this I know. You are forever with those that cared and loved you!! I’ve never met you, and sadly it’s too late…but I’ve known Jen since back when you would actually meet people on social media you had an association with somehow……I miss her dearly, she has a personality I’ve yet to compare to….whatever you did, you did a hell of a job, because Jen is the coolest girl I’ve ever met..- Rest in peace❤️ You raised an amazing woman.